Regime des Fleurs fragrance and perfume list. 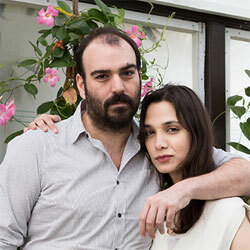 Régime des Fleurs is a niche line of fragrances created by filmmaker Alia Raza and stylist Ezra Woods. The two friends bonded over their love of flowers and perfume, and founded the company in 2014 in Los Angeles, California. They debuted a collection of six handmade perfumes in March 2014. The fragrances were launched in three tiers: the Lyrics, the Ballads, and the Epic.